Michael Dicke is a partner in Fenwick & West’s San Francisco office and is the co-chair of the firm’s Securities Enforcement group. His practice focuses on conducting internal investigations for public company boards and audit committees, and the representation of public companies and their officers and directors in SEC, Department of Justice, and other law enforcement and regulatory investigations and litigation. He also represents investment advisers, hedge funds, private equity firms, broker-dealers, accounting firms, and financial institutions in SEC and DOJ investigations and proceedings. 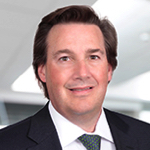 In addition, Mike routinely advises clients on corporate governance and disclosure issues. Recently, he has advised several Fortune 500 companies on real-time disclosure issues following a data breach incident, and regularly provides guidance on the SEC’s increasing focus on cybersecurity regulation and enforcement. Also, Mike counsels investment advisers, hedge funds, private equity funds, and broker-dealers on compliance matters and in connection with examinations conducted by the SEC, FINRA, and other regulatory agencies. Prior to joining Fenwick & West, Mike served as the Associate Regional Director for Enforcement in the SEC’s San Francisco’s regional office, from 2008 to 2014. As head of enforcement for the region, Mike oversaw all of the office’s attorneys and accountants in the investigation and litigation of federal securities law violations in Northern California, Oregon, Washington, Montana, Idaho and Alaska. While at the SEC, Mike conducted and supervised hundreds of investigations and litigation involving financial reporting and accounting fraud, the Foreign Corrupt Practices Act (FCPA), insider trading, offering frauds, and misconduct by investment advisers, investment companies, and broker-dealers. He is the recipient of the SEC’s Chairman’s Annual Award for Managerial Excellence as well as several Division Director Awards for work on significant cutting-edge cases. Upon joining Fenwick, the legal publication The Recorder noted that Mike brings to the firm “unmatched experience” in the field of securities enforcement. During law school, Mike was Articles Editor and published author for the Minnesota Law Review. After law school, Mike clerked for Donald P. Lay, Chief Judge of the U.S. Court of Appeals for the Eighth Circuit. After his clerkship, and just prior to joining the Commission, Mike practiced for five years as a litigation attorney with a San Francisco law firm. Mike has spoken annually at the SEC Institute (2005-2016) and is a frequent speaker on programs aimed at reaching public company executives and directors, in-house counsel and white collar defense attorneys. He has published articles in leading publications including Bloomberg and the Harvard Law School Forum on Corporate Governance. His recent articles include an opinion piece entitled “SEC Crackdown on ‘Fake News’ is Itself Fake News” (Bloomberg Law, April 2017).